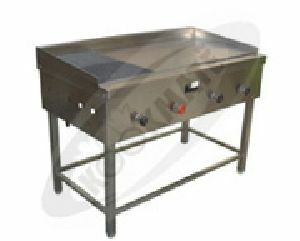 KM-DOP-108 : 48" x 24" x 34" 60" x 24" x 34" 72" x 24" x 34"
48" x 24" x 34" : 60" x 24" x 34"
Nandini Kitchen Appliances Pvt. Ltd. The nice part about our dosa podi is that it doesn’t take much time to put together. You are going to be guaranteed of some absolutely light and fluffy dosas. A sure shot winner that is going to feature regularly in your kitchen. 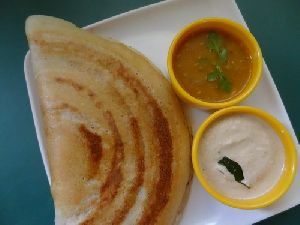 We are offering dosa. 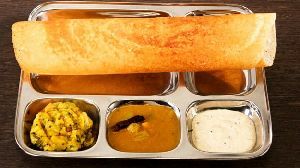 We prepare 124 verities of tasty dosa, verities of idly, 37 verities of utthapam, dahi vada, eight verities of rice, paw bhaji, many varities of noudles, cold drink, icecreams etc. 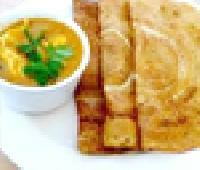 Avail from us, highly pure and tasty Frozen Masala Dosa . 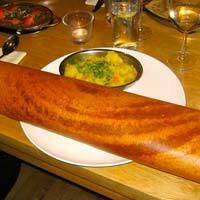 Masala Dosa is prepared by stuffing dosa with lightly cooked onions, green chilli, spices, and potatoes. 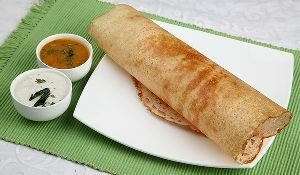 Frozen Masala Dosa, offered by us, is acclaimed for its mouth watering taste. We ensure appropriate packaging for Frozen Masala Dosa to make sure that quality of the product is not deteriorated during transportation. 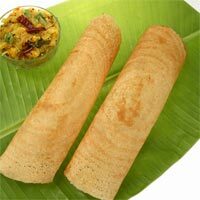 We are well known for manufacturing, supplying and exporting of wide variety of multigrain dosa. 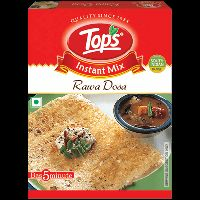 Experience the most appetizing taste of our top quality Dosa Podi manufactured from organic ingredients for ensuring unique taste and high nutritional value. 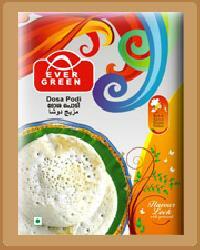 Dosa Podi offered by us is widely applauded because of its purity. 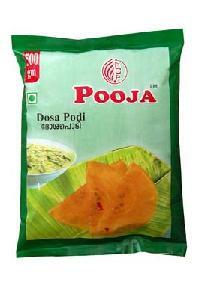 We provide Dosa Podi in 500gm pouch. Packaging : 500 gm. 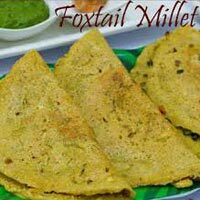 Multi Millet Dosa mix is as healthy and tasty alternative for ordinary dosas. 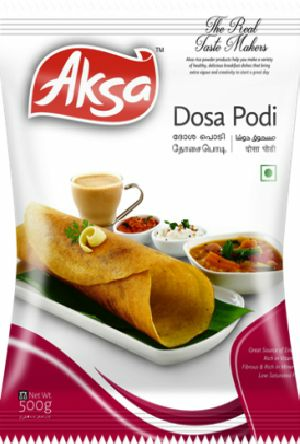 The dosa mix can be taken any time during the day . 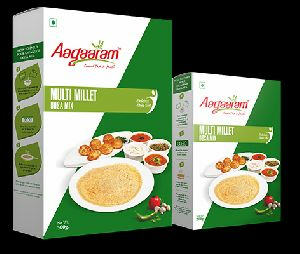 Regular intake of multi Millets can helps you reduce weight, protect from heart diseases and maintain the blood pressure. Features 1) 100% veg 2) Can be added to ordinary dosa batter for better fermentation. 3) No side effects. 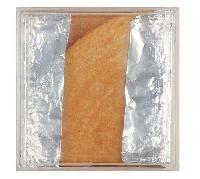 4) Preservative Free millets provides 24% of phosphorus. 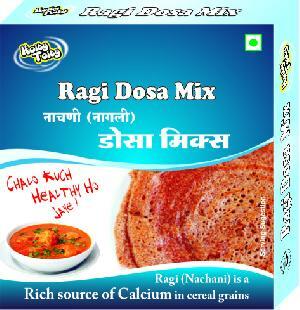 Raga mix dosa 200 gm per box packing outer box 80 box packing good quality products " chalo kuch healthy ho jaye " products. 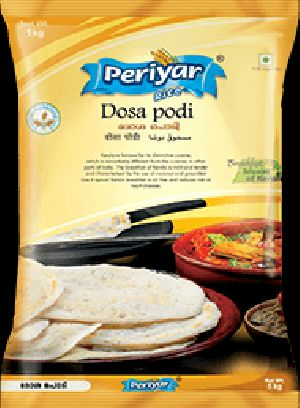 We are leading supplier of huge range of Dosa Podi. 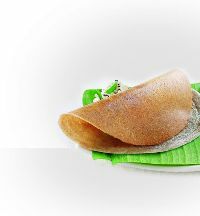 It’s a huge sigh of relief for the lady in the kitchen with PERIYAR dosa podi simply because the dosa comes off with effortless ease from the pan. The compliment she receives from the sheer mouth watering taste is an added bonus. 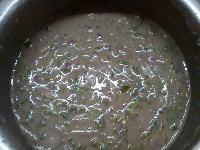 Urad Dal, a important component of Dosa podi has in one cup, 189 calories, 13 gms. of protein, 12 gms of fibre…what more for boosting your energy levels? 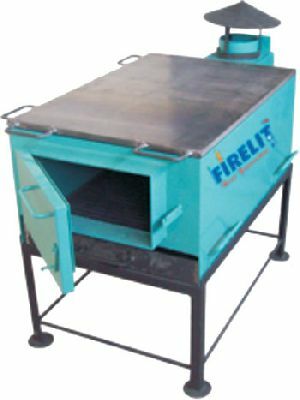 We are offering latest products of Dosa for all age man & woman. 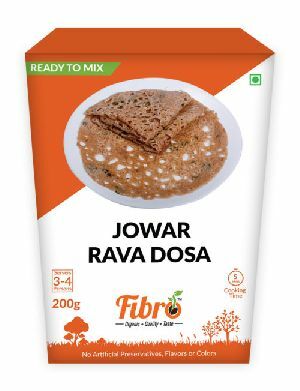 We are an eminent and leading trader of jowar flour dosa.